Amazing, perfect, gorgeous professional charts are our specialty. And experts are pretty much who we have at Family ChartMasters. Experts who will attend to every detail, work back and forth with you until it is exactly what you are looking for. Experts who will do whatever it takes to make sure it is perfect for you. You want a cream distressed background? They can do it. You need 38 photos added to your chart along with a map of your ancestor's hometown as the background? They can do it. Want to show every single person in your file, sidelines, in-laws, in-laws ancestors, neighbors and pets and who all the fire fighters are in your lines? They can do it. These talented graphic designers take your black and white data and wave their magic wand in the form of carefully arranged layouts, meticulous attention to detail, and customization of each chart until it is the perfect genealogy chart for you. But expert designers don't come cheap. Since they will take leaps and bounds to make you happy, we need to keep them happy and pay them nicely for their skills. We are raising prices on our custom decorative family history charts on November 1, 2016, so we are giving you a little heads up. October 31 will be the last day at our old prices. 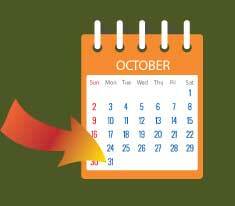 Not only are we saving you money, but saving you time because if you order your chart in September or October, you will beat the holiday rush. And let me tell you, it gets a little hectic around here in November and December. Send your file now to Family ChartMasters and let us create the perfect family history chart for you. Family ChartMasters would love to give you a personalized price estimate on your chart. Go ahead and upload your file to http://familychartmasters.com/consult.html and we will take a look at your file and give you some prices and additional info based on the size of the chart and paper type. Thanks! Geeze - at least give us a ballpark amount. 10%, 50%, 100% ???? I don't want to upload my info if I don't even have some sense of the cost. Show some examples with their cost, or something at least. Hmmm...what were the old prices, what are the new prices? Can't find a thing about prices on your website. Sure wish the ballpark numbers that used to be there were still there. I don't want to go through the process of sending a file without at least having ballpark numbers. When will pricing information return to your website? We have our current prices listed on our website, www.familychartmasters.com. Click on the big dollar sign on the right side of the page or click this link here: http://familychartmasters.com/fcmpricing.html and you will see our prices. This will give you a ballpark estimate. Many factors decide the final price of your chart including the size, the number of generations you would like, the type of paper, etc and we are happy to offer a free estimate. Prices are not being raised on our working charts at this time, only our decorative charts. If you submit your file for a free estimate by midnight today, we are happy to honor the current pricing. Otherwise, our new pricing will be posted tomorrow. If you are not quite ready to submit a file, feel free to check our blog throughout the next few months for any holiday specials we may offer. Thanks! Closet door in our den is 24" x 78¾". We would like to put a working chart on the door. How many generations would you suggest so the information wouldn't be too small? What kind of price range are we looking at? Hi Howard, we would love to print a chart for you. Our working charts are printed on 20 lb. standard bond paper, non-archival ink and paper. This type of chart is priced by the foot, so pricing depends on how big your family plots out. You can see options at https://familychartmasters.com/php/workingcharts.php but if you don't see what you are looking for there, just let us know. We have lots of options for working charts. The best thing to do is send us your information for a free consultation at https://familychartmasters.com/consult.html. We're happy to look at your information and give you some ideas for sizes and prices. With all of the charts we design, additional copies of the exact chart are 1/2 off. We ship USPS Priority Mail and Shipping for 1-3 charts in the USA is an additional $16.95.